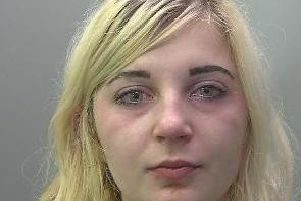 A Peterborough couple who sexually abused a 13-month-old baby while babysitting her have been jailed. Michael and Lara Chase of Bathurst, Orton Goldhay, took advantage of the girl they were babysitting. The couple appeared at Peterborough Crown Court this morning (Friday), where Judge Sean Enright sentenced Lara Chase to 13 years and Michael Chase to 14 years. Judge Enright said it was the worse case of baby abuse he had ever seen. Michael Chase (52) had pleaded guilty to two counts of sexual assault of a child under 13, four counts of taking indecent photographs of a child, three counts of possession of indecent photographs of a child, possession of a prohibited image of a child, possession of an extreme pornographic image and making 4,524 indecent photographs of children. And on Monday at Peterborough Crown Court, Lara Chase (46) was found guilty of two counts of sexual assault and the distribution of indecent images her husband had already admitted taking. The sexual assaults themselves are too graphic to be described in this newspaper. Speaking after the guilty verdict against Lara Chase was recorded, Detective Constable Lloyd Metselaar said: “I am pleased that the family of the victim in this case have received justice for what can only be described as ‘every parent’s worst nightmare’. “The appalling acts committed together by both Mr and Mrs Chase on such a young child, who had been entrusted in their care, demonstrate the most serious breach of trust. Photos used during the trial included the victim being sexually assaulted by Michael Chase, with the jury deciding that his wife had been assisting him in his actions.